I simply have no idea why I wrote this blog. 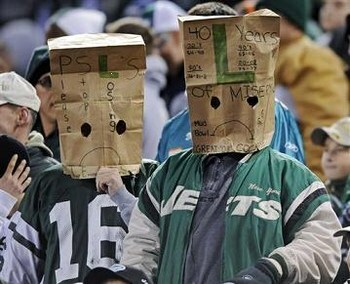 No one and I do mean no one cares about the New York Football Jets. The team is going to be so bad for the next few years. Even the owner of the team decided to abandon the franchise and took a fake position as the US Ambassador to the UK. Coming back to the Jets, the team has no talent and I do not expect them to make any smart decisions in the NFL Draft next week. The NFL regular season schedule was released last night in a glamorous fashion. Fans of every team got excited to see how their fall will turn out this year, but I could care less about mine. I am going to angrily root against the Jets in every game this year, hoping that they get a really bad draft pick. Anyway since the schedule is out now, I have to play the win-loss game with it, even though I hope they lose every game. So, the final record for the Jets in the 2017 season will be 4-12. I would be very surprised if they got more than 5 wins next season. I would be lying if I did not write this blog hoping the Jinx will come in full effect, and the Jets would have a good season. I am sick and have a lot of issues I know.